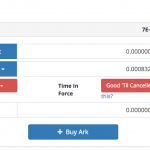 Buying Ark is a little more complicated than other cryptocurrencies, as we are going to be buying the coin with another crypto, such as Bitcoin (BTC) or Ethereum (ETH). 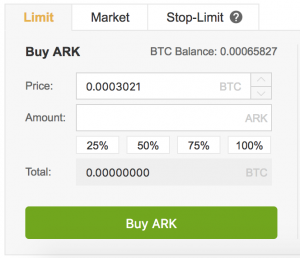 Congratulations – you bought ARK! Wait for your Bitcoin to show up in your Bittrex wallet – this could take a while, depending on the transaction fee you set when sending your BTC. 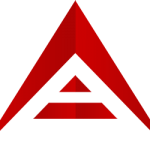 Ark has a community focus, which includes features such as profit-sharing and voting. To understand these features, read this wiki.